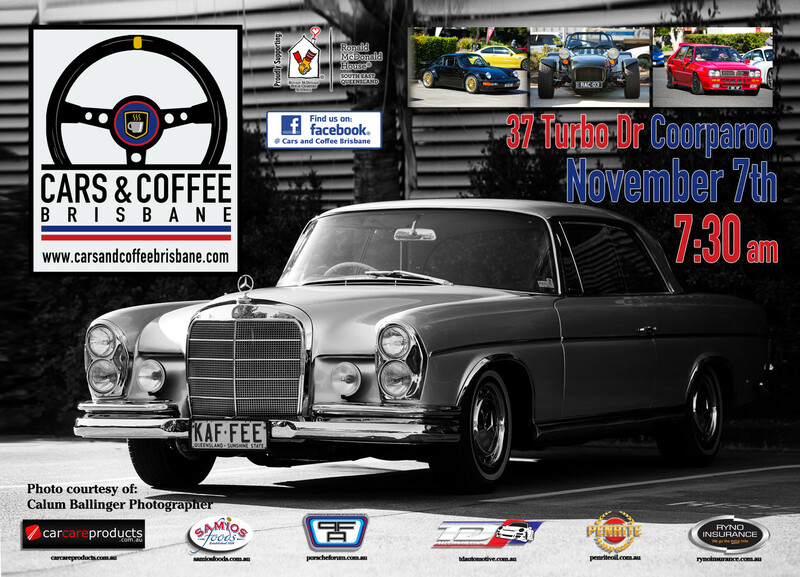 It’s almost time for your monthly ‘fix’ – Bring your Rare, Exotic, Vintage, Classic, or Race vehicles and join us on Saturday the 7th of November from 7:30am for some fine Food and Great Coffee. Also, meet some like minded enthusiasts and have a chat about cars. Also, just a reminder that Cars & Coffee Brisbane values safe and responsible driving as there are often small children and families attending. See you there!